44 years ago - Pieter Anton Cross is born in Norway. 36 years ago - 8-year-old Pieter begins studying kung fu. 31 years ago - 13-year-old Pieter begins to expand his kung fu studies into wu shu & wing chung. 29 years ago - 15-year-old Pieter earns a black belt in tai kwon do & begins practicing Parkour. 28 years ago - 16-year-old Pieter starts to focus his martial arts study on thai chi. 26 years ago - 18-year-old Pieter goes to college in America where he studies Pre-Med. 23 years ago - 21-year-old Pieter goes to medical school. 19 years ago - 25-year-old Pieter begins his medical residency. 15 years ago - 29-year-old Pieter, after the death of his mother at the hands of a mugger, begins to spend his nights following criminals & reporting them. 14 years ago - 30-year-old Pieter begins his fellowship in Starlabs metahuman medical facility where he meets several members of the Justice League & begins corresponding with Michael Holt. 12 years ago - 32-year-old Pieter finishes his fellowship & opens his own clinic where he begins to investigate the designer street drug A39. 11 years ago - 33-year-old Pieter is left drugged & near dead by the pharmaceutical company that engineered A39. He is saved only by his own medical brilliance, his eyes now only sensitive to ultraviolet light. He constructs the equipment to weaponize his new handicap to bring his attackers to justice. 9 years ago - 35-year-old Pieter becomes Michael Holt's first recruit to his new Justice Society. He becomes Doctor Midnite. ​6 years ago - 38-year-old Pieter consults on a new cure for Kirk Langstrom's Man-Bat formula. 5 years ago - 39-year-old Pieter cures Zinda Blake of Hitler's bio-plague. 4 years ago - 40-year-old Pieter's definitive metahuman medical guide is published. 1 years ago - 43-year-old Pieter begins seeing Dinah Lance. While there are many Golden Age heroes with modern age equivalents, very few of the them are actually improvements on the the original. for the most part we've left those new characters out of our timeline entirely. Only two of thes re-imagined characters actually manage to surpass the original. One is Mr. Terrific, but that's not really hard, the original character was ridiculous and Michael Holt is one of the best characters in the DC cannon. The second is Doctor Midnite. 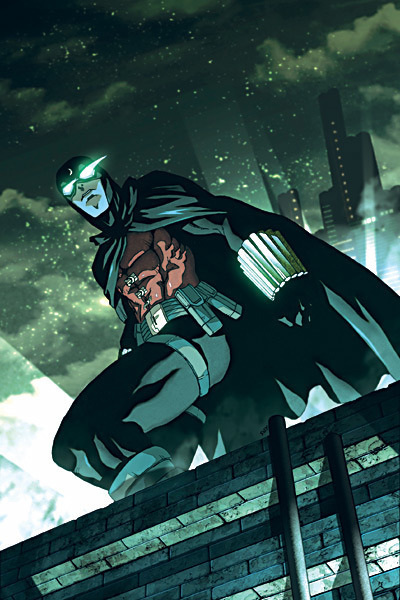 The basic groundwork of the character concept is mired in the sort of imaginary science that permeated the golden age superheroes; a injury 'reverses' his vision so that he can only see in the dark, so he 'invents' goggles that let him see in the light, 'blackout bombs' to cast his enemies into shadow... and... that's it. That's the concept. Understandably, he wasn't featured in his own stories very often, and is more remembered as a member of the Justice Society. Still, a little creative imagining and the story makes enough to sense to give it legs. 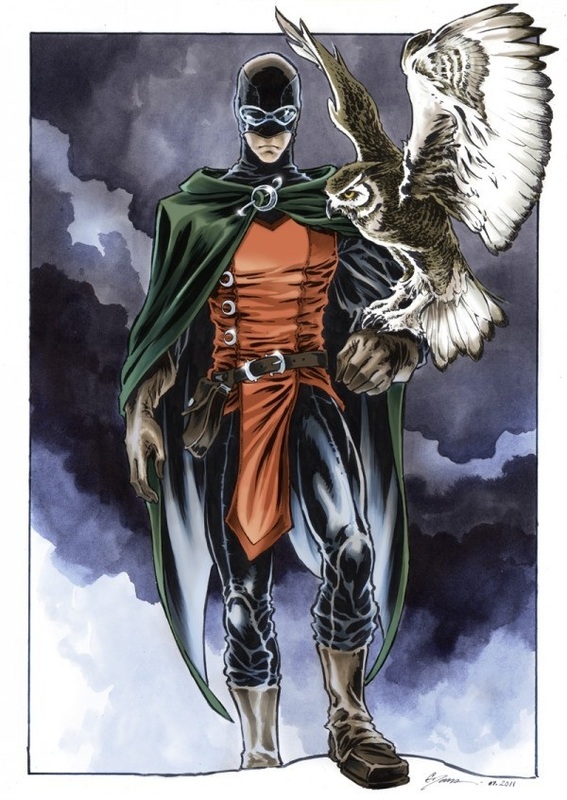 Also, using Pieter Cross, the modern Doctor Midnite, lets us focus on the one part of the character that is truly unique; that he is the foremost leading expert on metahuman medicine in the DC world. It's this talent very specifically that leads him to interact with the Justice League, to befriend Michael Holt, and ultimately to join the reformed Justice Society. We also spent a good while defining his martial arts experience; the fact that he was born and raised in Europe actually informed that as we crafted him into a young parkour enthusiast. Pieter and Dinah were a couple briefly in the pages of the Justice Society, before she relapsed into her longtime relationship with Oliver Queen. We've written her as having moved on to better things, and she can certainly do worse than a handsome European doctor. Also the character is usually written Doctor Mid-Nite, but we found that a little unwieldy.